Convenience doesn’t have to mean the same meals every night. 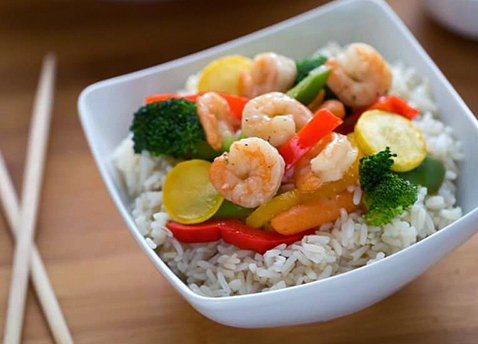 Mix up your weeknight dinners with this fun Shrimp Scampi Stir Fry recipe from A Helicopter Mom. Prepare both servings of Gorton’s Classic Shrimp Scampi in the oven according to box directions. Set aside. Heat a wok or a large skillet over medium-high heat on the stove. Add 2 tablespoons of olive oil. Add the peppers, carrots, and broccoli to the hot skillet. Cook for 1-2 minutes and then add the garlic and ginger. Cook over medium heat, stirring occasionally, until the vegetables are crisp but tender, about 5-7 minutes. Cook them longer if you like your vegetables softer. 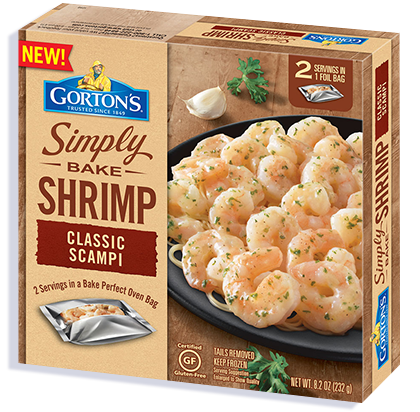 Cut open the packages of Gorton’s Simply Bake Classic Shrimp Scampi and place the shrimp in a bowl. Pour the remaining garlic butter sauce over the vegetables. Stir until the veggies are well coated, then allow to simmer for about 2 minutes. Spoon veggies and shrimp scampi over cooked rice. Enjoy!